PennsylvAsia: Masaaki Yuasa animated film Lu Over The Wall (夜明け告げるルーのうた) in Pittsburgh, May 11. Masaaki Yuasa animated film Lu Over The Wall (夜明け告げるルーのうた) in Pittsburgh, May 11. 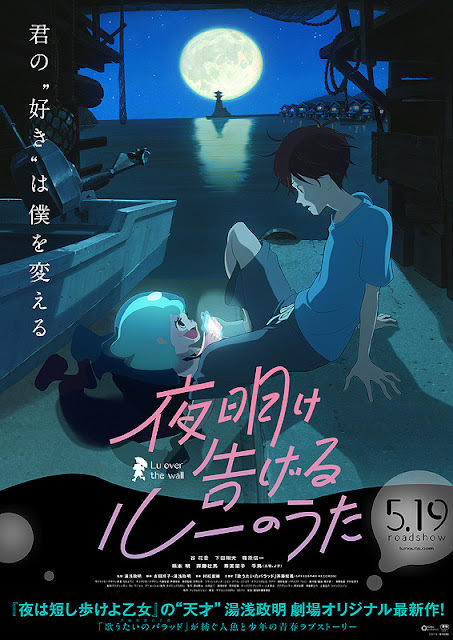 The film opened in Japan on May 19, 2017. Tickets are available online via Fandango. The theater is located at 300 West Waterfront Dr. in the Waterfront shopping complex in Homestead (map), across the Monongahela River from Greenfield, Squirrel Hill, and the rest of Pittsburgh.